This month the words were supplied by me right here on this blog. Next month's words will be supplied by Lee from the Kitchen Connection. This week I continue with Chapter Four of last week's story where we learned of Oliver Machenko. The day for your googled giggle that gets you over the hump and sliding down into the weekend. 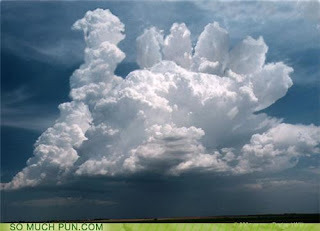 A Turkey Cloud! Have you ever seen anything like it? will be brought to us by Lee, from the Kitchen Connection. Don't forget to hop on over, she's bound to have some good words. Thank you all for the wonderful stories this month. Have fun! My story will appear at this site on Friday. If I can think of something. Highlight the link and right click then select "open link"
The video is a musical crossover segment with people from both shows and the lovely Jeremy Jordan on the piano. I planned on using it as a Musical Monday post, but today is as good a day as any (and I might accidentally delete the email ) so sit back and enjoy a little love. Today we will see more of the photos I took walking to and from the local shopping center last week. the dried flower husks you see here would have developed into bananas, you can see the black stem at the top of one bunch, this would have supported the bunch of bananas and is where the bunch would have been cut from the palm. Here is my story: a new installment for Papa's Cookhouse. While work began with the emptying and cleaning of the old woodshed, Papa worked out the next part of is plan. First, a to-do list of people that must be contacted, followed by a second list of things to be done. Welcome back to Whimsical ummm, Thursday. Doesn't quite "sing" does it? 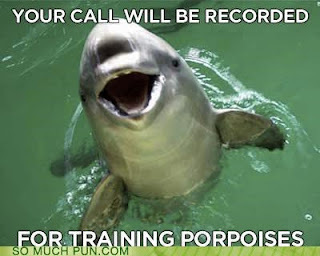 Your call will be recorded for training porpoises. Today (yesterday) we're taking a walk from my home to the local shopping centre, because I'm out of ice cream and that just won't do. Also to buy the newspaper to read the Real Estate section, something I do every Saturday. 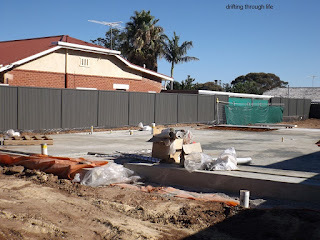 A new home foundation on the block down the street. Again, this will be two homes on one block, but instead of side by side, these will be one in front and one behind. 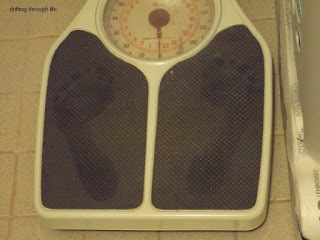 As soon as the Police Station opened the next morning, Papa, Ed and George walked in the front door. Welcome back to Whimsical umm, Thursday. 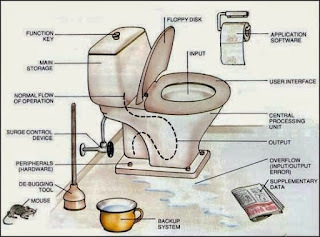 A little toilet humour :) Enlarge the picture to see it better. Today we'll continue walking through the grounds here, now that Angel is safe at home.